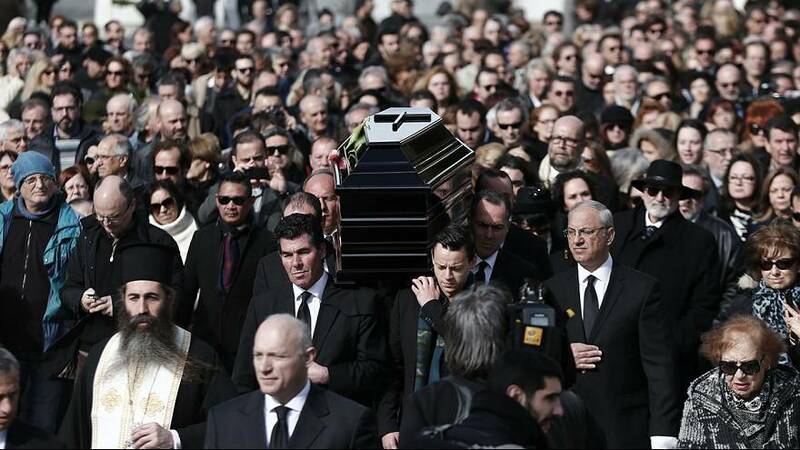 The funeral of Egyptian born Greek singer Demis Roussos has been held in Athens. The 68-year-old died last weekend and has been mourned by fans across the world. He was famed for his voluminous kaftans and soaring voice and became a permanent fixture in the UK charts. He scored a number one single with “Forever and Ever” while his global album sales topped the 60 million mark. The singer put his international success down to the advent of cheap air travel opening up Europe to regular holidaymakers. “My music came right on time. It was romantic Mediterranean music addressed to all the people who wanted to go on holiday,” he said.